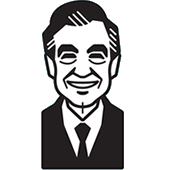 Mister Rogers arrives with a collection of video tapes from previous Neighborhood visits. Using a television cart with a video tape machine, Mister Rogers watches clips including Van Cliburn playing the piano upside down for Lade Elaine and the wedding of King Friday and Queen Sara. Over at Francois Clemmons' music studio, Mister Rogers listens as Francois sings "There's a Boat That's Leavin' Soon for New York" while Johnny Costa plays piano. They continue with "Summertime," another song by George Gershwin. Before he leaves, Mister Rogers tries on a wizard costume beloning to a student of Francois Clemmons. In the Neighborhood of Make-Believe, Princes Margaret Witch arrives with a crystal ball for the Festival of Remembering. The crystal ball helps people to see into the past and into the future. Lady Aberlin uses it to remember the time a magic kite was in the Neighborhood while Henrietta chooses to remember when she dressed up as a nurse. Margaret Witch also allows them to look into the future to see a grown-up Prince Tuesday and Ana Platypus. Back at the house, Mister Rogers watches a few more tapes to remember the Snow People opera and the Monkey's Uncle opera. Concluding for the day, Mister Rogers reminds viewers that they don't need tapes or crystal balls to remember -- remembering can be done by just thinking things. Rogers shows more tapes. He says that we can remember things without the use of crystal balls. All we have to do is to think about what we want to remember. Both songs performed by Francois Clemmons and Johnny Costa -- "There's a Boat That's Leaving Soon For New York" and "Summertime" -- come from the opera Porgy and Bess. The first of these songs is also sung by Francois Clemmons in Episode 1473. Henrietta as a nurse: Episode ???? Looking into the future, we learn that Ana has become a children's doctor and Prince Tuesday is a musician. © 1975 Family Communications, Inc.